Haunted House in the Hood! 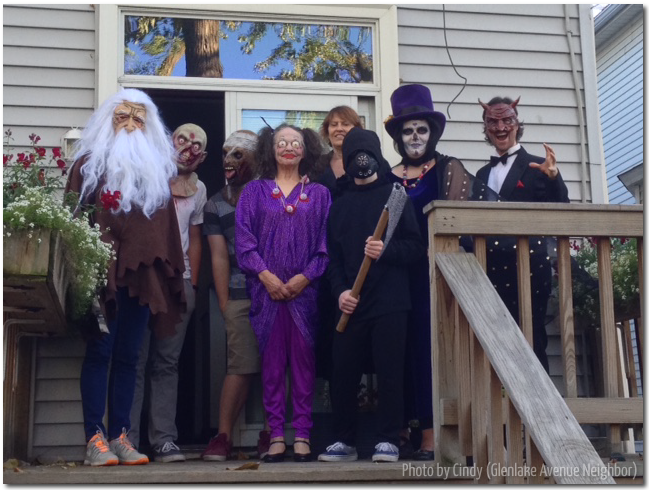 Cindy sent us this photo & description of the incredible cast of characters from a haunted house she went to on Glenlake yesterday. So cool! “Brilliantly conceived Haunted House in the 1400 block of Glenlake. You are invited in by a sweet black girl kitten, who hisses as she leads you into the living room where you are shocked to find disembodied heads screeching!